Spring breakers have hit Miami Beach, Florida, for some fun in the sun, but the resulting mayhem is putting a blemish on this year’s festivities. The chaos can be seen all over social media — people are filmed fighting in the street, getting knocked out and passing out in hotel lobbies. “Some of those videos are pretty awful, and as a city we are embarrassed by it and we want to do everything we can to curtail that behavior,” Miami Beach Police Chief Dan Oates told Inside Edition. 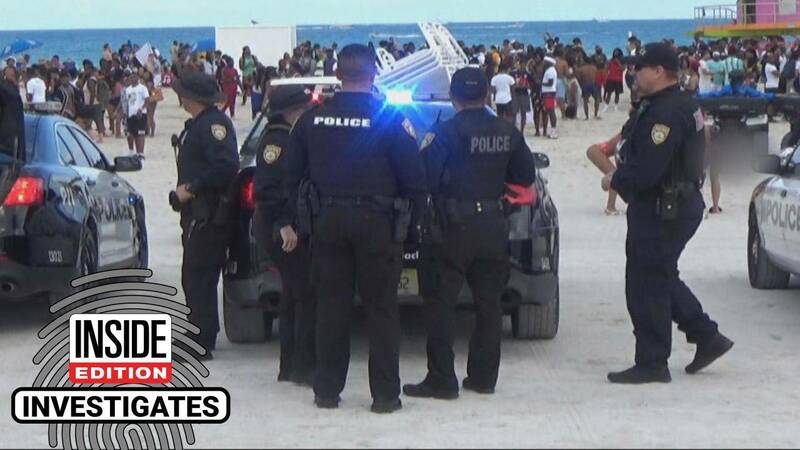 To ensure safety, 150 officers were added for spring break duty over the weekend. They fanned out on the beach, making arrests and confiscating drugs and alcohol. Patrols guarded every major intersection in South Beach. Miami Beach Mayor Dan Gelber hopes the changes will help keep vacationers safe. “We are not going to spare any expense to make sure we have order in our community,” he told Inside Edition.